Sometimes, because of the type of items we sell. A one minute phone call can give you more information than 6 or 7 e-mails will. If you have specific questions, you can always give us a call to get the information you want. Call 888-756-2846 Mon - Fri 9AM to 5PM Eastern Time. Rated for 500 Watts RMS, with crossover point at 3400 Hz. at 8 ohms nominal. 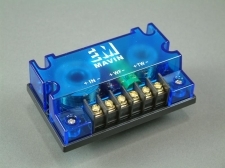 Mavin's 12 dB 2 Way Crossover, 8 Ohm Nominal Impedance, PC Board Design with Plastic Stand Offs, note that some soldering required to attach the wires to the circuit board. Crossover point at 3400 Hz. 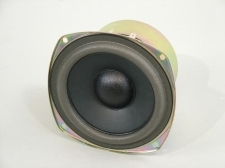 4 5/8" x 2 3/4" x 1 1/2"
Suitable for a general 2 way design, will work with any speaker size. 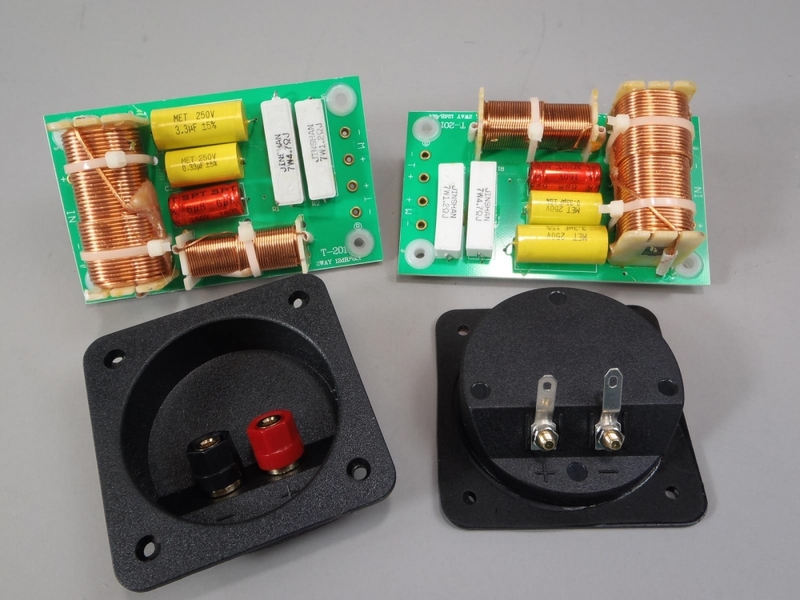 Note that you can use this crossover in a 4 ohm system too, the crossover point will change to 7000 Hz. due to the change in impedance. At 6 ohms, the crossover point would be 5250Hz. Inside Cabinet Diameter: 2 7/5"